Today is an important day in the life of St. Aidan’s Parish. Today we will consider motions that will ask us to adopt a new ministry. That ministry will be an outreach ministry called the Silver Saints Outreach Ministry. It’s focus will be on ministry to seniors with in our parish as well as in the wider community. Because of the bold leadership of the people from the Church of the Hosannas, we have the resources necessary to try something new and dynamic. Today we will consider what it would look like if we were to fund a position to raise up and train volunteers to minister to the needs of the seniors in Northwest London. Today the Holy Spirit will call us to embrace a new ministry in our church. I believe this community is ready to embrace that ministry. We have a strong community at St. Aidan’s. Our church community is strong because of the strength of the priesthood of all believers. We take seriously our baptismal call to “seek and serve all persons and to love our neighbour as ourselves.” St. Aidan’s is blessed with strong liturgy, committed lay leadership, a dynamic music ministry, a strong focus on children and families, good fellowship ministries, robust adult Christian education, and an abundance of sacramental leadership in active and retired priests. All of these ministries thrive because they are led and guided by people of faith, and all seek to fulfill our mission to go make disciples of all nations. In his book A Work of Art: Understanding How God Shapes Spiritual Leaders, Reggie McNeal asserts that, “Leaders in touch with heaven can move earth.” The strong ministries at St. Aidan’s bear testimony to this statement. The leadership in our community is not just strong. It is a leadership born of faith. The baptized in this church make strong leaders because they are ‘in touch with heaven.’ It is because of that strong faith filled leadership that new ministries will also bear fruit for God’s glory. Any ministry, mission or effort in the church must be rooted in the strong theological foundations given to us in scripture and in the lives of the many who have borne witness to the gospel throughout the ages. While many churches are focused on getting people to come to church, our call as a community now is to help form a new and dynamic ministry that will allow us to take the church to people. More importantly, it is a call to bring Jesus to people and to find Jesus in those we serve. Seniors in our church, and in the neighboring churches in the Northwest, are all facing many needs. Beyond our church walls the need is greater still. More than 50% of the seniors in London live in the Northwest. We are being called now to act with compassion to meet our neighbours and to be present to their needs. Jean Vanier reminds us that “Jesus is the starving, the parched, the prisoner, the stranger, the naked, the sick, the dying. Jesus is the oppressed, the poor. To live with Jesus is to live with the poor. To live with the poor is to live with Jesus.” To be present to Jesus we may very well need to come to grips with living the gospel among the eldest in our neighbourhood. supports and adopts the Silver Saints Outreach Ministry. of the former Church of the Hosannas with the reorganized St. Aidan’s. used to support the Silver Saints Outreach Ministry. sale to be invested with the Diocese. The proceeds of that investment is to be used to fund the Silver Saints Outreach Ministry. Closing a church with a 125 year history, and selling it is difficult stuff. For those who have lived and loved and prayed at Church of the Hosannas, this is no doubt a very difficult time. That being said, this is also an interesting and dynamic time in the life of the community. Dynamic because what we see resurrection before us. 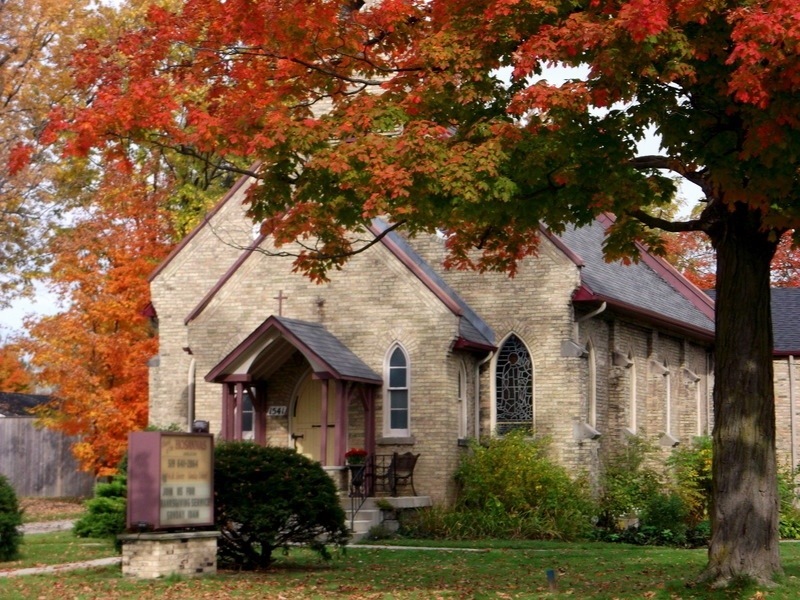 Many churches and congregations have faced closure over these last number of years. They have not all had the opportunity to see the resources from closure reinvested and turned into a new form of ministry. Because the people at the Church of the Hosannas courageously decided to move together to become one with the church of St. Aidan’s, we now have the ability to RENEW the Anglican presence in the Northwest. I could not be prouder of people who represent those who have worshiped in Hyde Park for over 125 years. Their choice was not too and ministry, but to RENEW ministry. I pray the Holy Spirit may lead our church as we consider moving forward now with this important step in being a mission minded church in Northwest London.